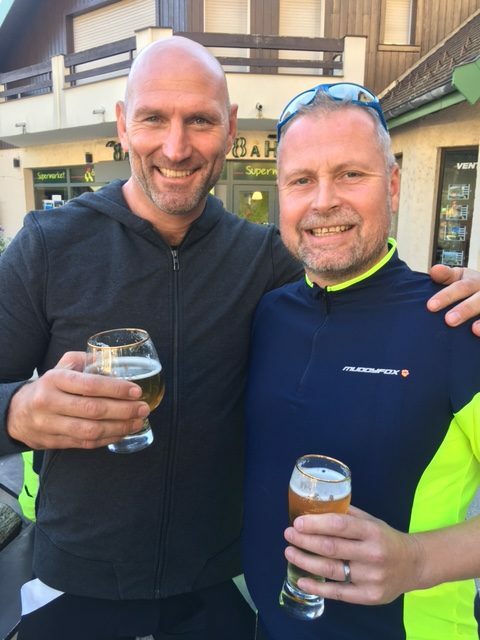 After months of preparation and training… Buzz’s directors Jon Orchard and Andrew Perryman took part in a charity ride for Dallaglio RugbyWorks! 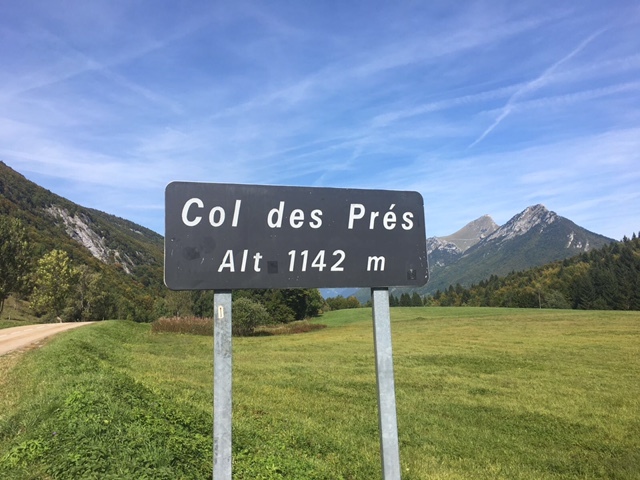 On the 21st September Jon Orchard and Andrew Perryman cycled from Geneva to Lyon for the Intrinsic Dallaglio RugbyWorks‘ charity ride. Just one of the many challenging climbs on the ride. RugbyWorks, founded by former England captain Lawrence Dallaglio, is an intensive, long-term skills development programme based on rugby, that aims to get teenagers back into sustained education, employment and training. RugbyWorks is designed to help young people outside of mainstream education to have a positive pathway through focusing on minimising the effect of their past, helping them to make better decisions in the present and to plan themselves a more successful future. A well earned beer after completing Stage 1. Jon and Andrew’s incredible feat has helped to raise so much money for a brilliant cause with the charity ride raising £66,000 so far! 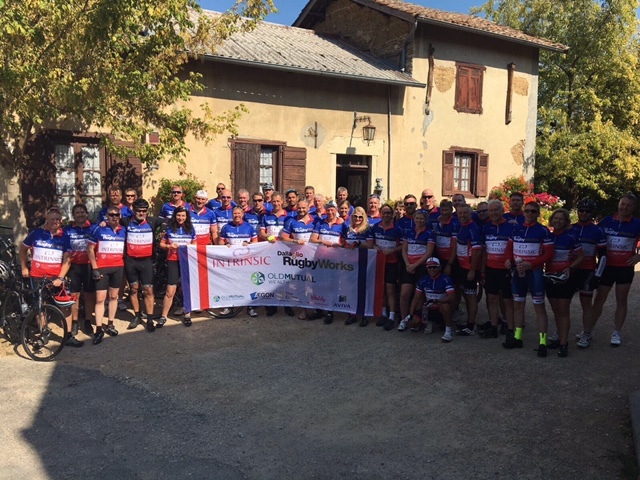 Jon described the ride as ‘physically and mentally the toughest challenge of my life’. Praising the strong team effort as the key to getting everybody through the three days. Andrew Perryman ‘showed a really strong 3-day ride’ and Lawrence was a ‘powerful rider’. Another climb conquered on Stage 3. The 3-day ride totalled over 315km with Jon’s statistics below showing just how tough it was. The end of another tough day. Next year, the Dallaglio Cycle Slam takes place. 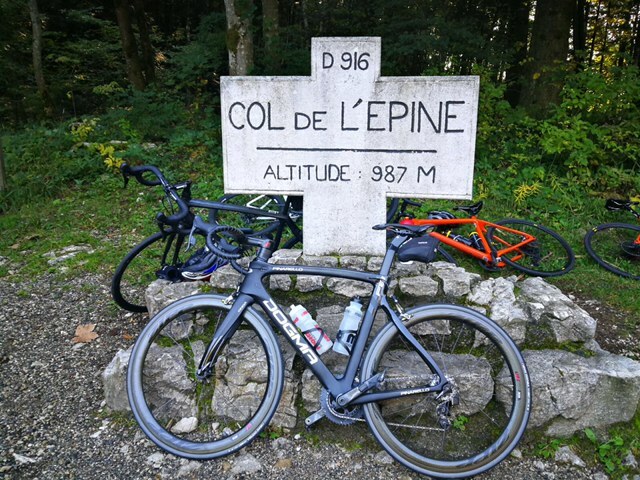 The Cycle Slam is an epic 1800km cycling challenge taking on the French and Swiss Alps, Italian Lakes and the stunning scenery of Slovenia and Croatia. 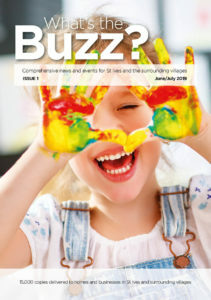 Read all about it on the website and see how you can get involved!